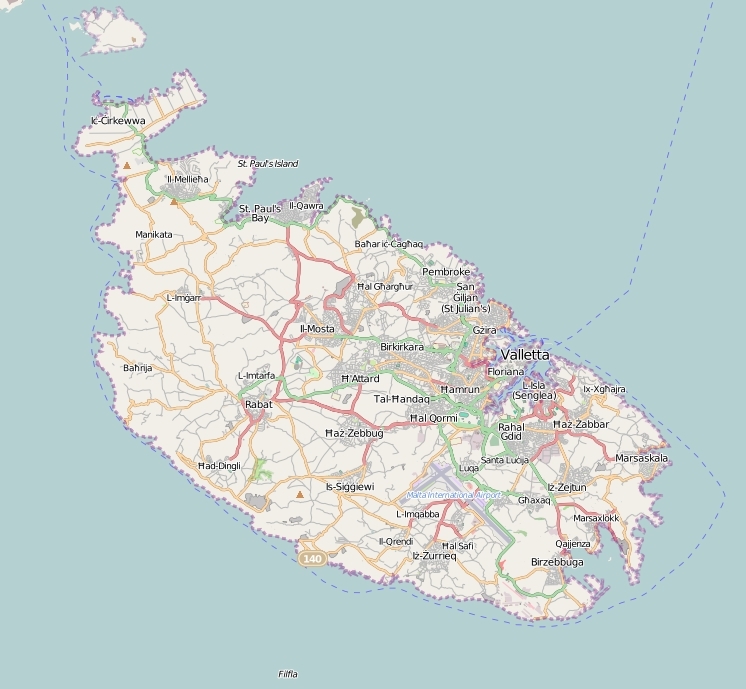 The surface-area of the island is 246.7 km2 and is therefore 0.65 times greater than the island Isle of Wight. The island lies in the Mediterranean Sea and the total coastal length is about 155.1 km and the dimensions of the island are approximately 28.4 km by 12.7 km (maximum width). The island is Northwest - Southeast oriented. The highest point is 249 meter and is named Dingli Cliffs 249 meter. The coordinates (latitude, longitude) of the island (center) for GPS are 35.89 (35°53'17.6964), 14.44 (14°26'24.4464).